Originating from Ghana these pretty but chunky Millipedes are a great species.They enjoy burrowing under the rotting subtrate whilst chomping on the rotting leaves, fruits and vegetables are usually less enticing than a rotten leaf to this species. Males and females look identical and both have an enlarged head. 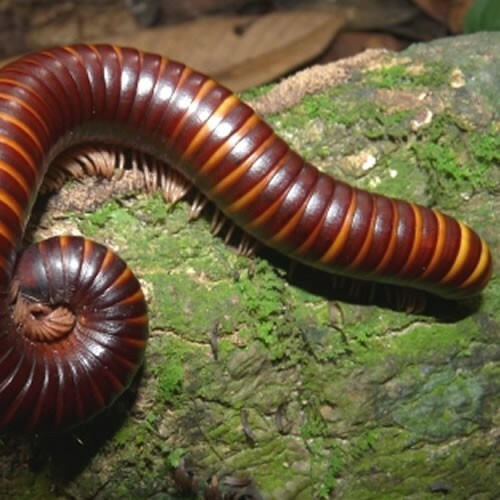 Delicate bands of burnt orange give this Millipede its name.